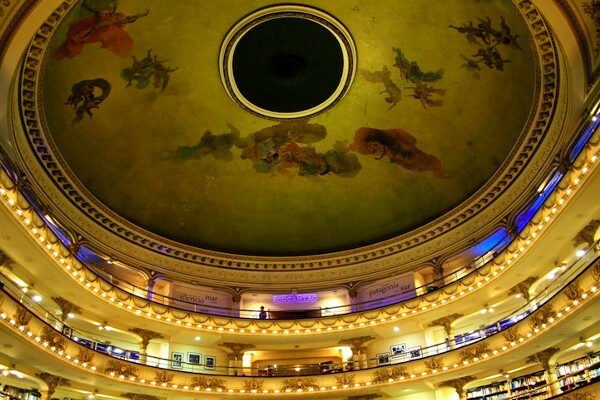 Grand Splendid was originally built in Buenos Aires, Argentina as a tango theater back in 1919. 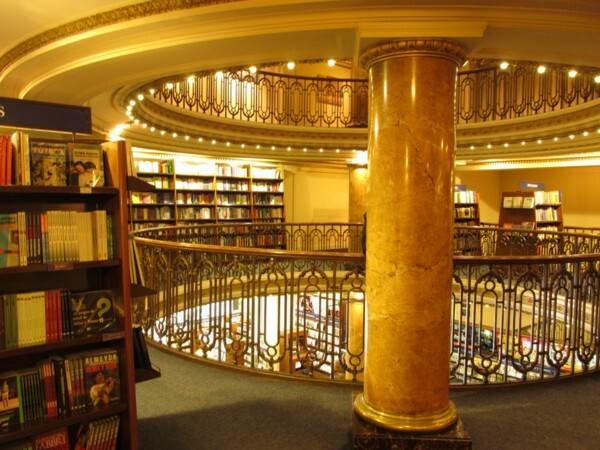 In 1929, it was converted into a cinema and then finally into the grand bookstore it is now in 2000. The architect behind the renovation, Fernando Manzone, aimed to preserve the detailed elegance of the theater, from the ornate balconies to the colorfully frescoed ceiling. The bookstore covers a sprawling 21,000 square feet, draws in more than a million tourists, and sells about 700,000 books every year. 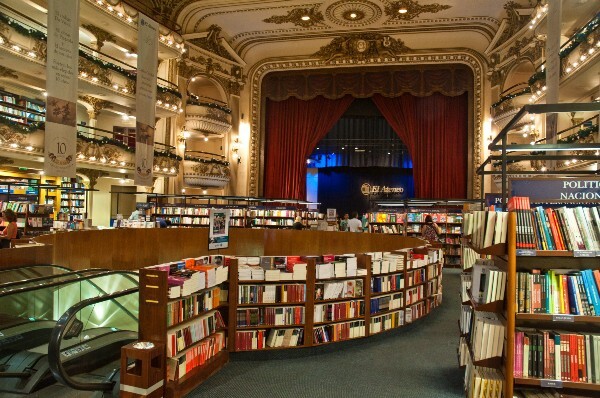 And while most of the titles are printed in Spanish, just marveling at the theater-turned-bookshop is worth a trip.